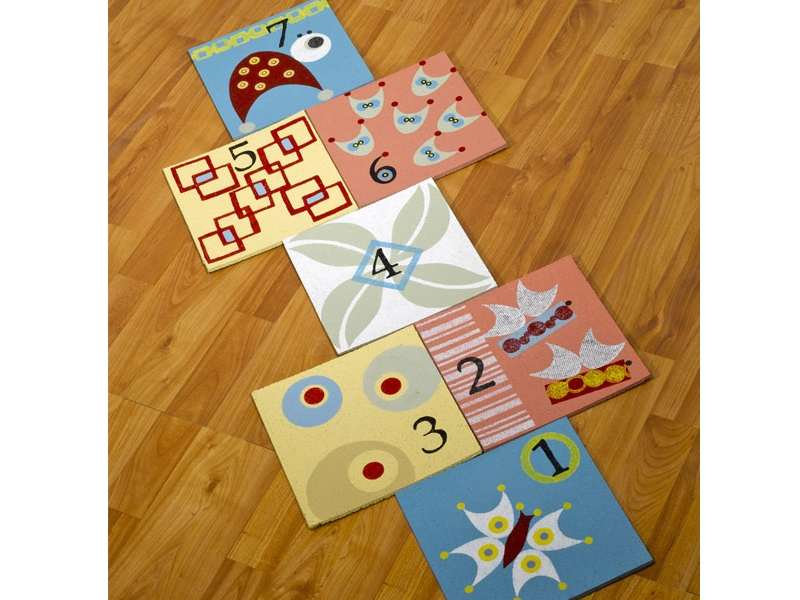 This whimsical indoor hopscotch project is perfect for decorating a playroom or for a fun indoor game on a rainy day. Indoor Hopscotch was designed by Mary Ayres. 2-½” head on right side of body with white acrylic paint.